Few months ago, intex launched their first fitness smartband after fitbit. 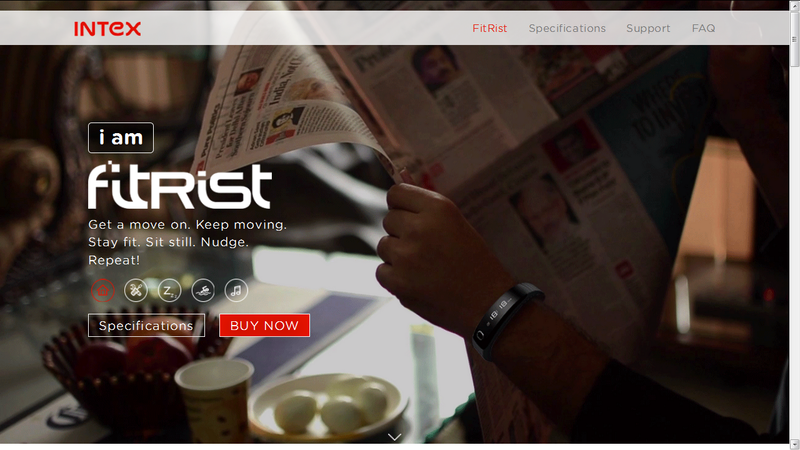 Intex launched types of bands, one without heart rate sensor and one with it. According to intex site, the display looks pretty big and with high brightness. But, when you get the product after ordering it online on amazon, or from any other site, you will feel bad with its size. The display is thereafter OLED, but you cannot see anything in the morning under the bright sun outside. Its having brightness made for night use. So, if you thing you will wear it and go outside for a walk in the early morning or in the evening, then thats a good decision. Other than that, the camera capture feature only work with the bands app, not with your phones camera app, or any other. Also, on the box its clearly mentioned that it works on android 4.4 to android 6.0, but here according to Intex, they thinks that android 4.4 means the 3rd version of google android kitkat that is 4.4.3, but actually in the real world according to googles android api, 4.4 means starting version of kitkat known as 4.4.1. I came to know this when i tried to connect this band to my xolo q2100 running android 4.4.2 kitkat, and the app is not getting connected to the device. I called up intex care, and in that time they told me the truth. So, Intex is also a fraud company, who shares wrong information and specifications to the customers. Moreover the bands music controller is too tough to control. The charger sometimes works but sometimes stops working. Applying pressure on it fixes it :P .
Intex Fitrist is running with TI-CC2540 processor chipset with OLED display having 0.86" display size. The quality of the band is good, and is water resistent, so without fear you can run under rain :D. Intex says the battery lasts for 7 days, but if you wear it all day, the battery will drain out completely in 2 days.But yes its charging time is very less, it gets fully charged from 0-100% in less than an hour. The anti lost feature doesn't work automatically, you need to press and hold the button on the band to check weather your device is connected or not. Anti lost doesn't means your band gets lost or you gets lost in a crowded area. It means that you are not getting your device, that time hold the mid button, and if its connected, then your device will sound in an annoying manner. Also, your device should have the media volume full to sound up.